Meeting the enemy face to face…..
Well, I finally opened my new scales and placed them on a flat surface. I walked around them several times. Even left the house for awhile before gathering enough courage to put my bare feet on that glass. It wasn’t the number I wanted. And I had to remind myself that in the last week I’d ridden 25 miles on my bike and had participated in the fitness classes at the gym all week long along with my regular weight training workouts. I had to convince myself that 140 is just a number. By writing this down for everyone to see I’m taking that stupid scales’ power away. I’m seeing it for the number that it is and not as a grade that defines me as a failure. I even took a picture to show you what 140 looks like on me. I’m going to change the way I view what I weigh. The numbers on the scale are just like the reps and sets at the gym or the mileage on Map My Fitness. They are just numbers to help me gauge where I’m at and how far I have to go in my pursuit of fitness. And I still have goals to reach in the gym, on the bike, and on the scale! Okay. This is a totally random post. On a regular basis I see ladies doing this: Let’s be honest here. One of the main reasons we choose to eat well and exercise daily is to look great. Well, wearing a bra that fits you helps you look great also and if your bra has room for a phone then it doesn’t fit you!!!! get fitted for a bra that fits you perfectly…..
or wear pants with pockets! If you know me at all then you know that I am a beach girl. I love the beach and Hank loves me. He loves me so much that he knows that my heart and soul need these times on the beach and he gives me each summer here. When you’re here for a week you can be on vacation but when you’re here for the summer you’ve got to maintain your diet and exercise routines. 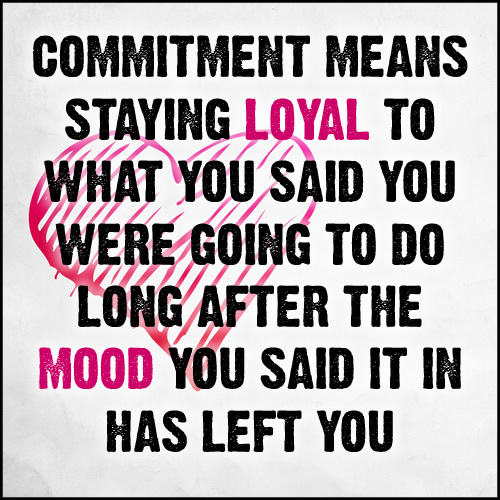 For me that’s lifting weights and doing some cross-fit type exercises. I gotta have a gym! The gym that I went to last year is in the process of closing so I had to find a new gym. I chose the Rock Pile on Middle Beach Road. They have lots of weights, machines, and some great classes. I’m enjoying myself. I have also set some goals that I want to reach while here. Okay. They are not really new goals. They are old dreams that I’ve always kept in the back of my mind but have repeatedly convinced myself that I couldn’t accomplish them. So I’d find an excuse to quit before I ever got started. 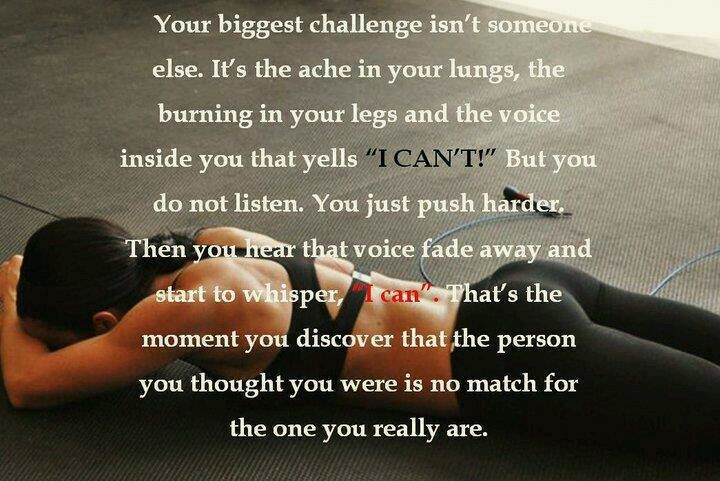 I can do this and I’m doing everything I know how to do to reach these goals. I’m weighing and measuring my foods, logging my workouts, trying to get a full 8 hours of sleep each night, and challenging myself to try new things. And I bought a scale. Yes, I have a scale. I’ve had it for over a week. It’s still in the box that it came in. I haven’t even taken it out of the Walmart bag. I told Hank that I’m learning to live with the enemy. I still don’t see it as a tool. To me it really is an enemy. But even that is a lie. It’s not my enemy. It simply tells me what I weigh. It’s a number not a grade and it’s not a judgement! I know this but I’m still not ready to take it out of the box. What about you? Do you have some old dreams that should be turned into goals? Is it time for you to stop telling yourself that you can’t and start reminding yourself that you can do it through Christ who strengthens you? Is it time to start doing the hard work necessary to reach those goals? A dream written down with a date becomes a goal. A goal broken down into steps becomes a plan. A plan backed by action makes your dreams come true. Using the trail system from Conservation Park, Hank and I rode our bikes out to the West Bay Bridge yesterday. 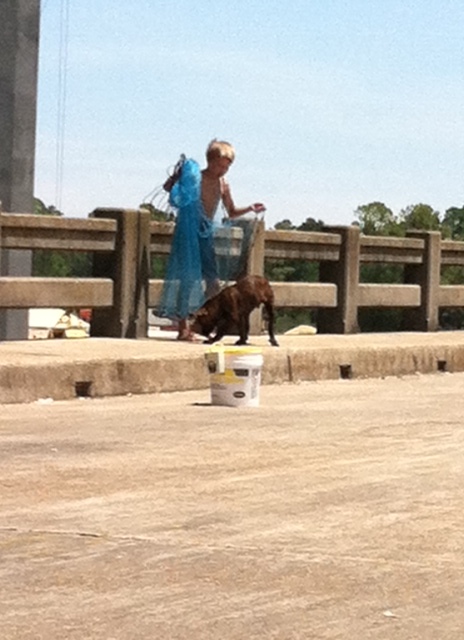 When we got there we saw this little boy, his grandpa, and their dog, Chris, fishing on the bridge. Grandpa was teaching the boy, as he called him, how to throw out the net and to wait patiently before pulling it back in again. This is the south that I remember from my childhood. We would get up in the morning, have breakfast, and then be sent outside to play. One of my favorite childhood memories is going “crabbing” at the beach. 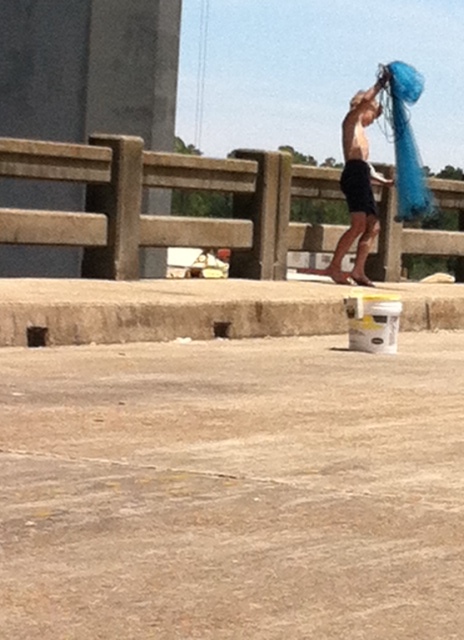 We spent the entire day pulling nets and playing with the crabs in the five gallon bucket. I have no idea how many miles we traveled between our house, my grandparents, and my aunt and uncles. We walked, rode our bikes, and ran back and forth all day. As the sun set the lightning bugs would come out and, once again, we’d be sent out to play. As I got older and was still being sent out to play, I would go fishing or take the little john-boat out on the lake, paddle out to shady spot under the trees, throw the anchor out, and cuddle up to read. I still love those days when I get to go outside and play. That’s probably one of the reason’s I love the beach so much —- swimming, riding bikes, long walks, and nights playing games with family and friends. I’m getting to play and it’s fun! What about you? When is the last time you turned off the television or your phone and went outside to play? If you have kids – have you sent them outside to play today?